In amongst all our rambling, wandering adventures of late, we've kept an eye out for roadside treasures. Tasmania is full of gorgeous little farm gate stalls, but for the adventurous, there are also plentiful finds, growing wild along the roadside. A drive through the Huon Valley turns up baskets full of apples, haws, edible weeds and the occasional late berry, if you're lucky to find a spray-free patch. All that food, ready for the eating if we keep our eyes open, slow down and stop the car from time to time. A lazy walk home from co-op one day left me with a bowl full of rosehips. The following day we took a huge drive down to the far south and pulled over from some apples from an ancient wild tree. 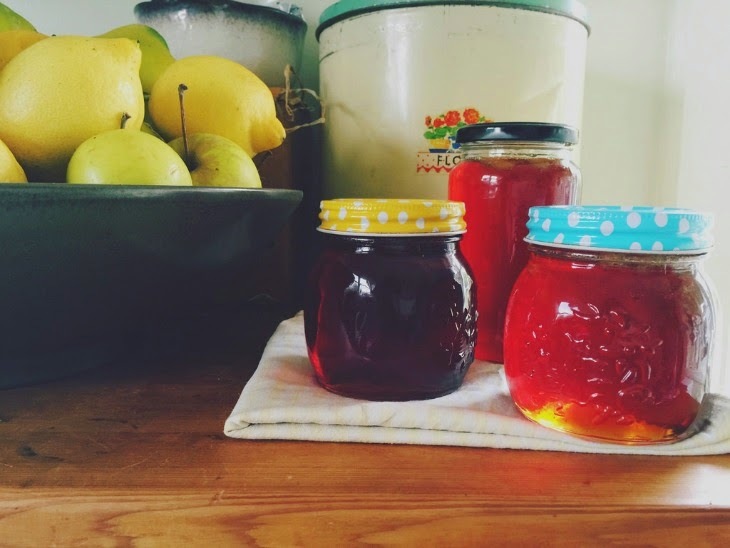 The owlets offered to taste test the huge apples and, upon finding them rather tart, we decided to make some jelly. We're loving the delicate flavour of this batch and I think next year I'll aim for more rosehips to really boost that flavour. 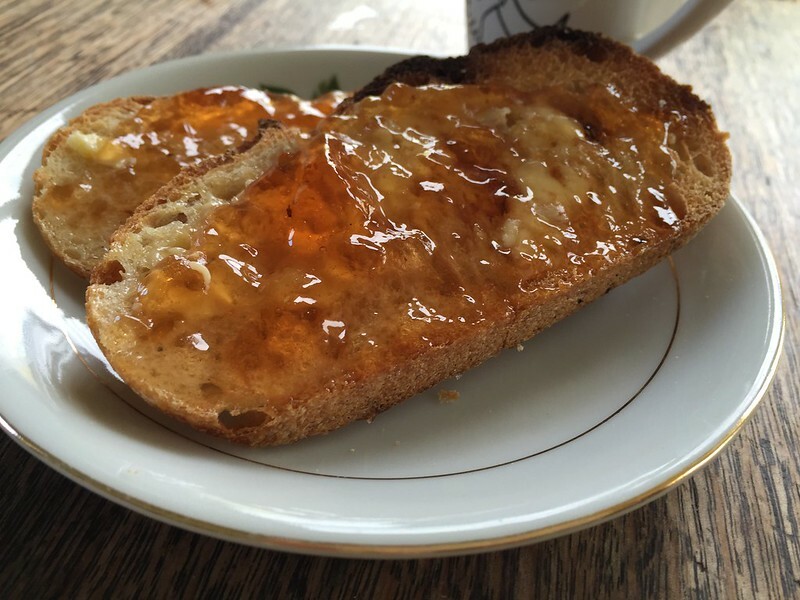 Jam and jelly aficionado, Little Owlet, tells me her favourite is the Quince and Orange Jelly we made last weekend, but she'll happily eat either with a spoon - and does! Sugar - we used organic raw sugar, but rapadura, juice or honey or a mix of sweeteners would be fine. Chop the apples up roughly , core, stems and all. Pop them in a large pot with the rosehips and cover with water. Bring to the boil and then simmer until the fruit is soft. Place a colander over bowl and place some muslin or old stocking over the colander. Strain the fruit - leave it overnight if necessary. Try not to squeeze the fruit as the jelly will be clearer if it drains naturally. Measure the amount of juice and add half the amount of sugar along with it to a pot. For example, for 4 cups of juice, add 2 cups of sugar. 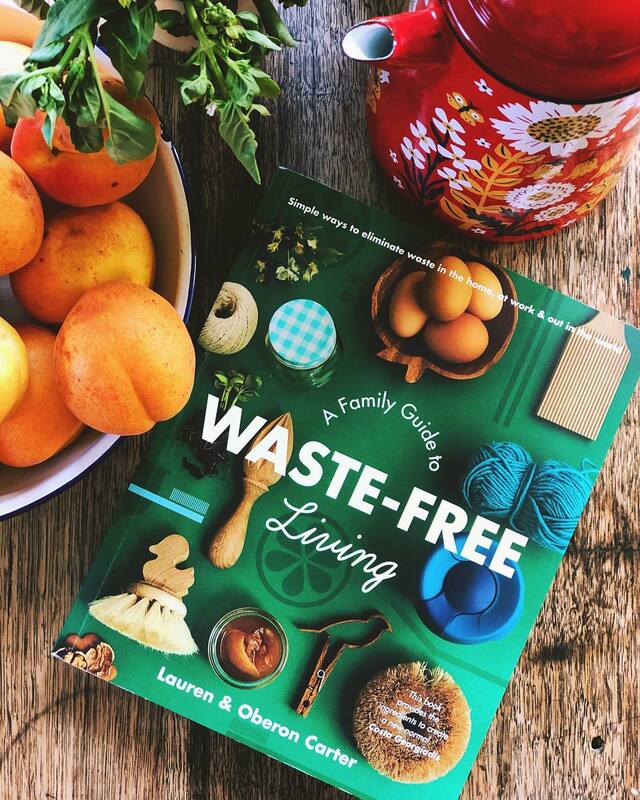 Most recipes will suggest you need to have an equal amount of sugar, but we find it just too sweet - this will also depend on what sweetener you choose. There is enough pectin in the fruit to set the jelly anyway. Simmer the juice and sugar until it becomes jelly. Scoop off any foam that forms on the surface. Place some clean jars in a pot of water on the stove and boil for a little while. Place a saucer in the freezer. Test the consistency of the jelly every now and then by dropping some onto the saucer. When the liquid thickens and holds it's shape a little when you run a finger through it, it is ready. Have your jars ready and ladle or pour the jelly into the jars and pop the lids on to seal. What's your favourite way to use fruit at this time of year? Off on any foraging adventures of late? Oh it sounds delicious. We moved from Kosciuscko national park to a new little town and it was bursting with apples. I was in foraging heaven and made so many apple pies and apricot cakes but then my stove top and oven broke. 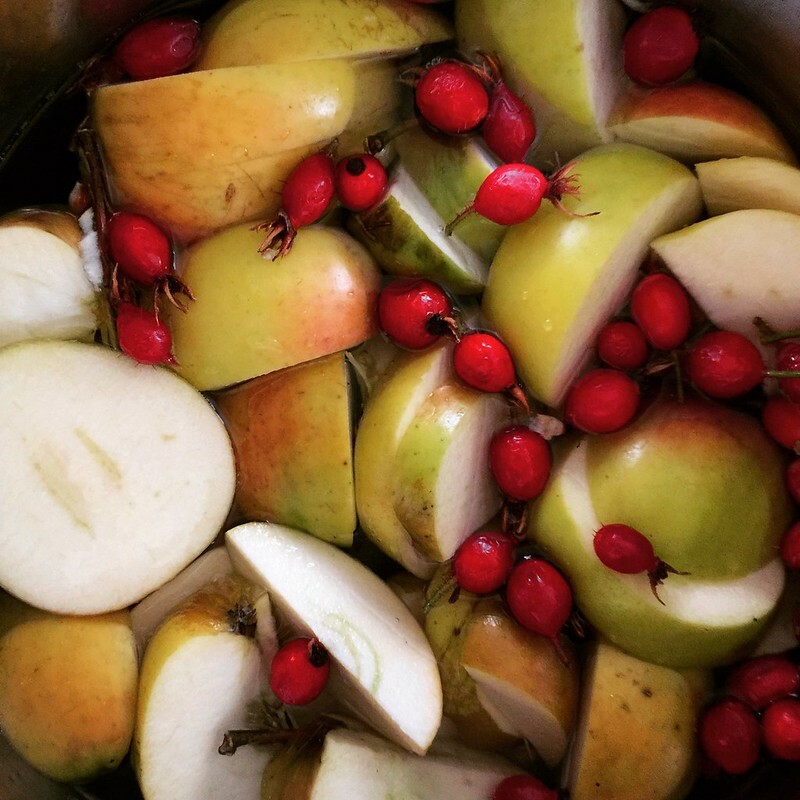 I was really keen to make jelly...I've never tried junipers so I've pinned your recipe for next year. Thanks!